A compressed file contains many files, directory and subdirectories. Many applications are available to create a compress file of any large file or directory and retrieve files or folders by extracting a compressed file. When we want to transfer any large or folder over the Internet then it is better to compress the content before transferring. This makes the task faster. You can use python scripts for compressing and extracting any large file or directory. 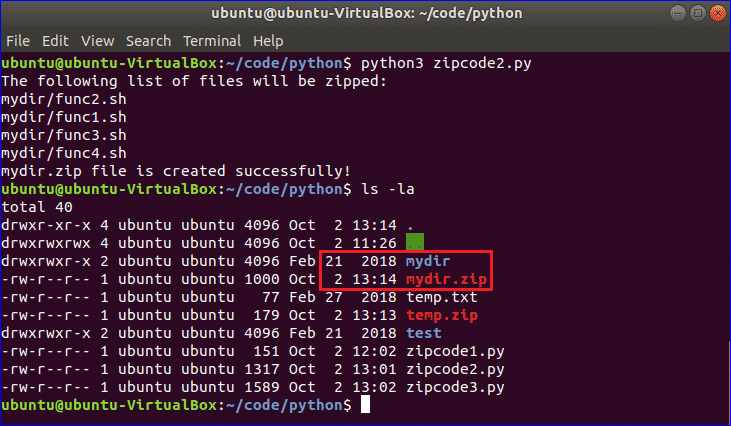 zipfile module of python is used to do the task. 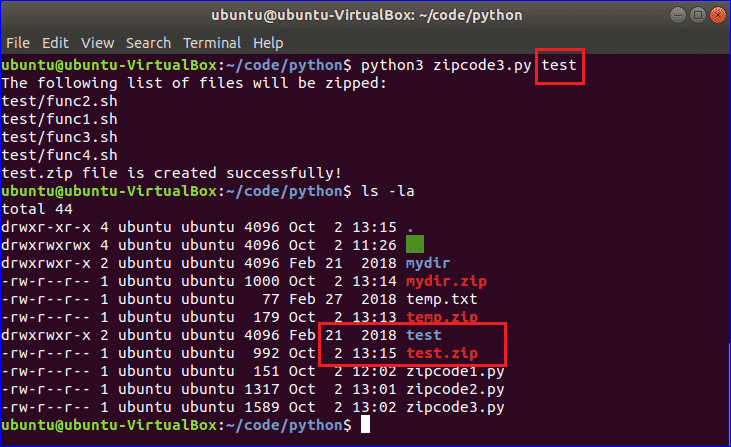 How you can use python3 to compress any file or directory is shown in this tutorial by using various examples. Create a new file named ‘zipcode1.py’ and add the following code. zipfile module is imported to compress the file. temp.zip is assigned as zip file name with write mode and next, the original filename, temp.txt and compress type are given as parameters in the write method. The size of temp.txt is 27 bytes and after compression, the size of temp.zip is 2 bytes. Create a new file named ‘zipcode2.py’ and add the following code. A directory may contains many files, folders and subfolders. To read the content of the directory, os module of python is imported with zipfile module to compress the directory. In this script, mydir directory is used for compression. # Create the full filepath by using os module. The size of mydir is 21 bytes and after compression, the size of mydir.zip is 2 bytes. Create a new file named ‘zipcode3.py’ and add the following code. To read the command line value, another python module sys is imported with os and zipfile modules. zipFileName = dir_name + ".zip"
test is given as directory name in the command line argument. The size of test is 21 bytes and after compression, the size of test.zip is 2 bytes. I hope, this tutorial will help you to use python for compressing any file or directory.